Over the past 20+ years, auto manufacturers have tweaked the designs of their vehicles to rely on full integrity of the windshield for proper air bag deployment in the event of a car accident. If your vehicle’s windshield is damaged beyond the point of a windshield repair [link to windshield repair page] being able to fix the damage, then seeking out a full windshield replacement service as quickly as possible is key to keeping yourself and your loved ones safe in the event of a horrible car accident. 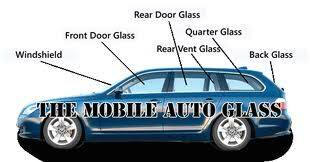 If you find yourself in this position and require immediate attention, then you should definitely consider making Mobile SGV Auto Glass your first phone call if you live in the Pasadena region of LA County in SoCal. Our company has been in business for 12 years and counting now, and our company is one of the most highly rated in the auto glass repair business. You will not be disappointed in choosing our company as your top choice for your car glass needs, and we aim to please. All of our auto glass services are covered by our industry leading 100% warranty, and our company believes in standing behind our work. Our company goes to great efforts to deliver the best windshield replacement cost that you will find in or around Pasadena. We leverage all of the industry contacts that we have made during our more than a decade of being in business in order to deliver the lowest possible cost to our customers. You will be extremely pleased with the quality of our expert craftsmanship that we consistently deliver to just about any safe location in the local Pasadena area of LA County. If you have a need arise outside of the city, that’s OK as well. We typically take care of our customers throughout the region, and we always go out of our way to take care of you. You will be glad to have made Mobile SGV Auto Glass your first choice when it comes to car glass repair, and our friendly team of customer service experts is here to answer any questions that you might have regarding our auto glass services. Please give us a call today with any questions that you might have, and we look forward to serving you today.